Dinosaurs! And southwestern ones at that. 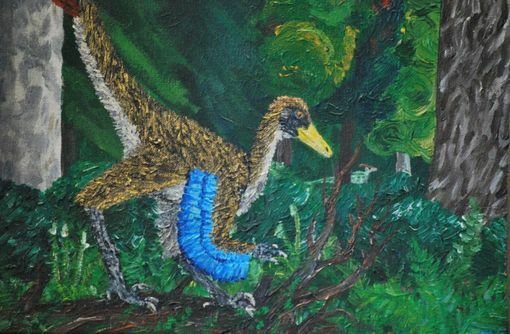 The newly described species Talos sampsoni stalks hidden prey, while in the distance, a Parasaurolophus lumbers through the verdant foliage. Above, some of the deciduous trees, relatives of modern birches, laurels, and sycamores, are beginning to change color. 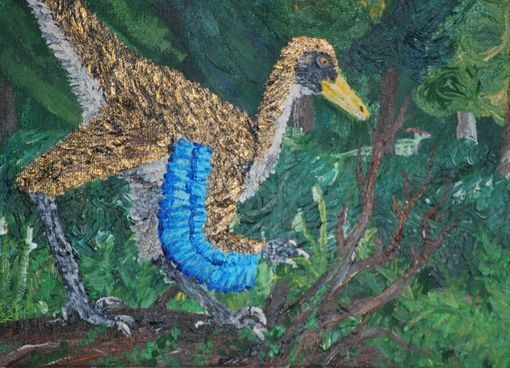 It's a vibrant illustration of life in the Late Cretaceous period of Utah, as demonstrated by fossils recently found in the Grand-Staircase Escalante National Monument. I admit, I looked at images of the fossil to create this piece, as well as Scott Hartman's excellent skeletal restorations of Talos to get the shape right, but I made a few tweaks in the final shape for the sake of art (such as lengthening the tail). I based the plumage partly off the red-tailed hawks I see almost every day on campus, but also with a shout-out to the myth of Hephastion's automaton, named Talos, forged of Brass. 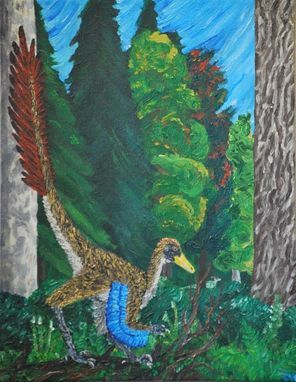 The painting itself is 14" x 18." 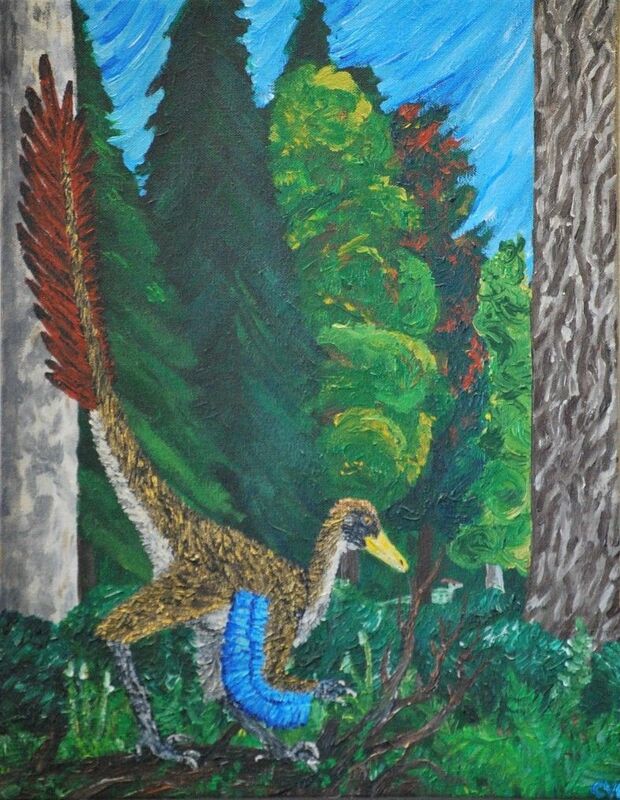 I should also note that if you have a particular dinosaur in mind for a painting, message me and we can talk about it. I really enjoyed making this painting, and would love to do more in the future.